A RAIN OR SHINE EVENT…. 3500 happy people turned up throughout the day at the second installment of Tulsa’s truly global, FREE, all-day, eclectic roots music festival kicking off the Guthrie Green concert season and featuring major internationally touring artists on the main stage, the best local acts, performance artists, a children’s/family area with arts activities, community, sustainability and OK-made booths, and local food, craft brews and wines. 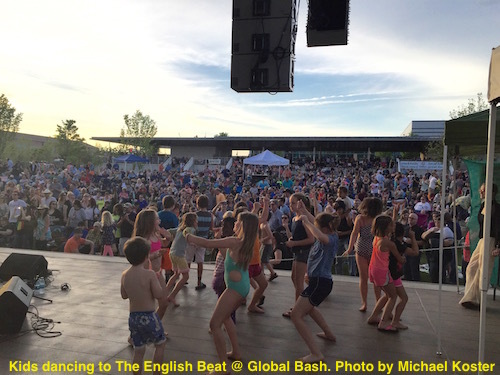 Photos: Rocky Dawuni killin’ it, Perizad of Elysium Bellydance, Kids dancing onstage to The English Beat.